Adapted from her blog, Allison Cooper shares her tips and tricks on how to get your kids to eat healthy. 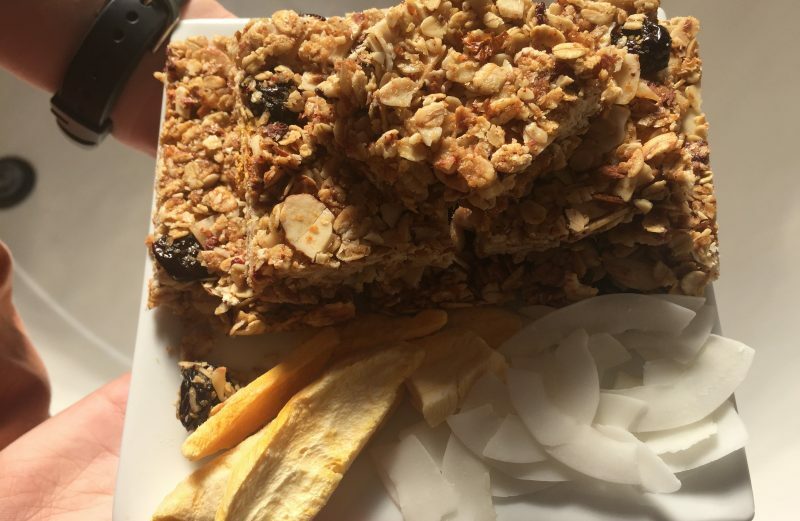 Just about all parents have struggled at one point to get their kids to eat (and keep eating) healthy foods, especially as young people are inundated with junk food options. 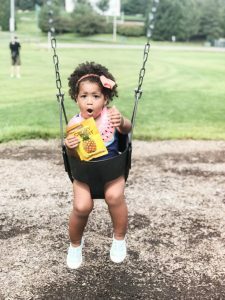 Below Allison from Project Motherhood (a Crispy Green brand ambassador) shares some of her secrets for getting her picky eater son Branden to eat healthy. When kids are hungry they’re more likely to accept something healthy. So, offer fruits and veggies BEFORE any other treat, or better yet – make fruits and veggies the treat! Start this practice with toddlers because the older they are, the more they’ll want to negotiate for something unhealthy. When they’re young, it’s easier to instill in them an understanding that they must eat a fruit or veggie as a snack or with a meal before they can have a treat. Eventually, the hope is that they’ll fill up on the good stuff and forget about the sugary and starchy foods they might usually crave. Stick with favorite foods (as long as they’re healthy). While it’s good to expose your kids to new and different fruits and veggies, always have the staple favorites on hand. 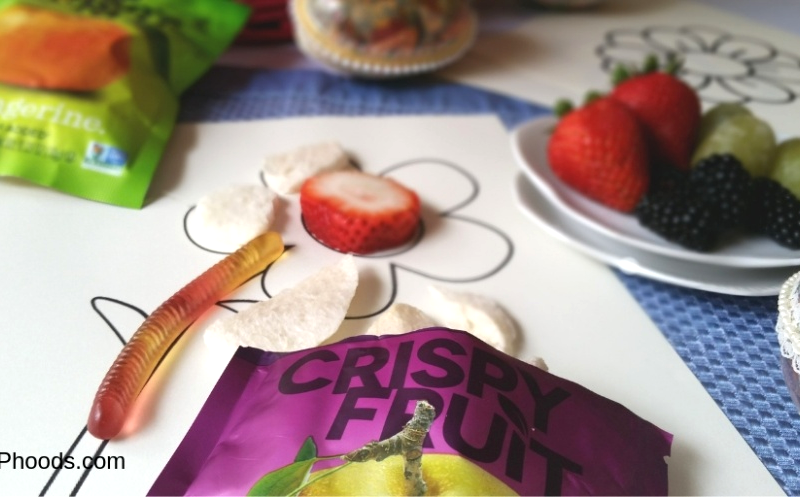 Completely changing up the snack offerings can be more stressful than it’s worth. So if you have a healthy, kid-accepted snack, always have that snack in the lineup. At the same time, keep offering new foods so they’re exposed to eating the rainbow. Be a hidden-sugar sleuth! I challenge you to go through your pantry right now to read food labels and see what foods contain hidden sugars and chemicals you really don’t want your children eating. We’re all guilty of it. In a moment of weakness, who of us hasn’t caved and indulged their kids with a treat they wouldn’t usually buy. Be better about reading labels before purchasing. You’re in control of the food that’s brought into your house. 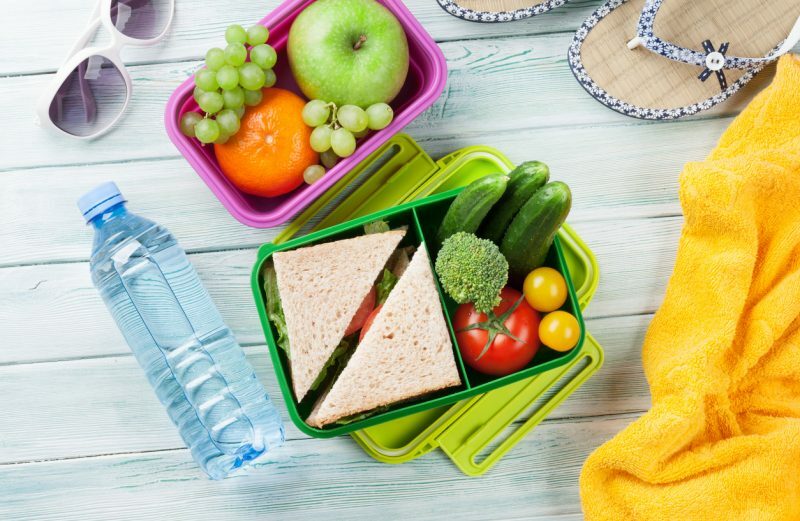 It sounds obvious—but if you have healthy food on hand, you’ll be more likely to pack nutritious snacks for all those trips to the zoo, a baseball game, park or for after school snacks, and less likely to be visiting the snack bar for fried or sugar-laden treats. She likes to have treats on hand such as Crispy Fruit, which is conveniently packaged in one-size servings with no added sugar. Healthy snack options have come a LONG way. But if you expect your kids to eat healthy food involve them in picking it out, and make sure it tastes good to them. Because ultimately healthy snacks have to taste good to keep kids coming back for more and make them lifelong healthy eaters.